The National Weather Service has issued a "Red Flag Warning" for Prince George's County and surrounding jurisdictions. The combination of dry air, winds and warmer temperatures will create an enviroment where outside fires could easily occur and spread rapidly. This "Red Flag Warning" is in effect from 10 am today until 8 pm tonight and there is a likelihood that a warning will be re-issued for Sunday as well. Citizens, visitors and businesses should always have fire safety in mind as they go about their day. During a Red Flag Warning everyone needs to pay particular attention to avoid starting a fire. This is the warning provided by the National Weather Service today. EVENING...AND AGAIN LATE SUNDAY MORNING THROUGH EARLY SUNDAY EVENING. MORNING THROUGH EARLY SUNDAY EVENING. * FUEL MOISTURE...5 TO 6 PERCENT. Instructions: A RED FLAG WARNING MEANS THAT CRITICAL FIRE WEATHER CONDITIONS ARE EITHER OCCURRING NOW...OR WILL SHORTLY. A COMBINATION OF STRONG WINDS...LOW RELATIVE HUMIDITY...AND WARM TEMPERATURES WILL CREATE EXPLOSIVE FIRE GROWTH POTENTIAL. A FIRE WEATHER WATCH MEANS THAT CRITICAL FIRE WEATHER CONDITIONS ARE FORECAST TO OCCUR. LISTEN FOR LATER FORECASTS AND POSSIBLE RED FLAG WARNINGS. 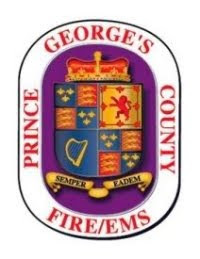 The civilian, career and volunteer members of the Prince George's County Fire/EMS Department ask you to follow these fire safety tips to avoid the possibility of accidentally igniting a fire outside. Dispose of smoking materials in an appropriate container and ensure they are completely extinguished. Do not discard these items into any open area as they may start a fire that will spread rapidly. Do not dispose of smoking materials out of your vehicle when traveling. Business owners and property managers should have appropriate containers that include water in areas where smoking occurs outside so materials can be disposed of safely. Do not burn brush or trash ever without appropriate approval. Be extremely careful and pay full-time attention if you will use outside grills or cooking equipment during these times. If you cook outside, ensure you have some type of extinguishing agent nearby (water hose, bucket of sand, fire extinguisher, etc.). Never leave the grille unattended. If you have fireplace ashes; you must put them into a sealed metal container placed on a concrete surface away from any structures. If possible - wait to clean your fireplace until this weather event is over. Workers using power tools that generate sparks need to mindful that a fire could ignite from those sparks. Wet down brush areas before working. Use common sense and practice sound fire safety habits.